Don McMorris, the former minister responsible for SGI, praised the province's interlock program on Monday, which he mused could eliminate impaired driving in Saskatchewan. Don McMorris is back behind the wheel and advocating for the expansion of the vehicle interlock system which he says could eliminate impaired driving in Saskatchewan. Last September, the Indian Head-Milestone MLA pleaded guilty to having a blood-alcohol level over .08 after being arrested and charged on Aug. 5. He was reinstated to the Saskatchewan Party caucus on Monday, having resigned to act as an independent after the incident last year. Speaking to reporters after the announcement, he said he was returning to the party with a belief that the ignition interlock program could be expanded. 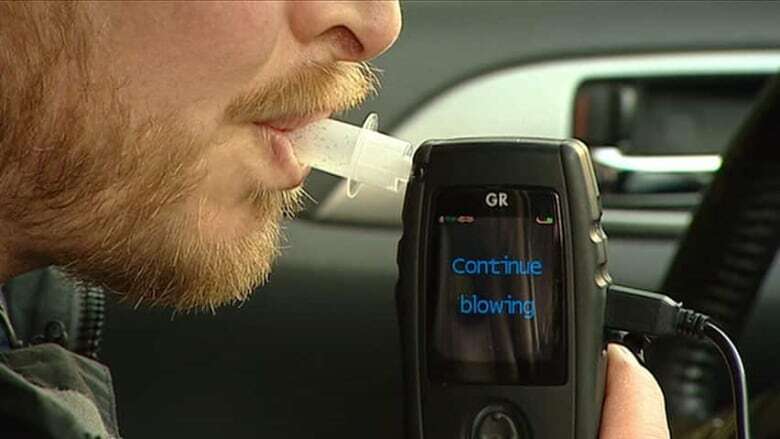 Under the law, eligible people who lose their licence from impaired driving can apply to have an interlock device attached to their vehicle after a three-month period. McMorris's vehicle won't start unless he blows a breath sample with a blood-alcohol level of zero. He said the program "really does make you look at your lifestyle", and he wants to see it expanded. "If you ever wanted to kind of 'blue sky' it and say 'let's eliminate drinking and driving from the province' you could do it," he said. "You could put an interlock in every vehicle so that everybody was tested before they drove," he said. "Now, people aren't ready for that in the province. I get pushback when I mention it." Tuesday will mark three months since McMorris has had an interlock device in his vehicle, he said. According to the 2015-2016 Saskatchewan Auto Fund Annual report, there are approximately 799,000 licensed drivers on the road and more than 1.2 million vehicles and trailers. Both GST and PST apply to all fees, which would, theoretically, net the province $3,196,000 if the plan was enacted for all drivers. There is a potential for more fees if a violation is blown and the device locks, if the vehicle falls onto a "special vehicles" list, if the device is removed early or if the device is being transferred from one vehicle to another. Theoretically, licensed drivers could pay $70,312,000 each month in calibration payments alone if ignition interlocks were mandatory. Saskatchewan's rate of impaired drivers is more than double the national average, with 575 incidents of impaired drivers per 100,000. The national incident rate is 201 per 100,000. "Technology is so, so important because what it is, is proactive instead of reactive," McMorris said. "What we have for the most part is a system that's reactive."